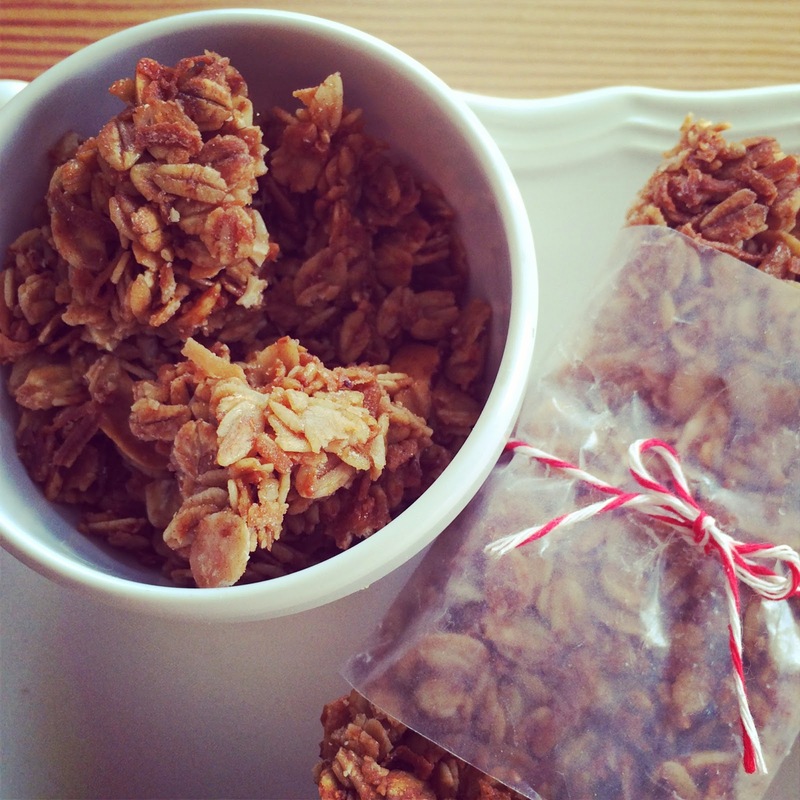 In effort to stock up on granola bars and have some healthy snacks, we decided to make our own! The almond and coconut Kind bars are my favorite, so I decided I was going to model mine after those. They were quite simple to make, and turned out fabulous! The ones I made are crunchy, so they also make the perfect bar to crumble into some Greek yogurt for breakfast (John has even crumbled them and ate them with milk like cereal). 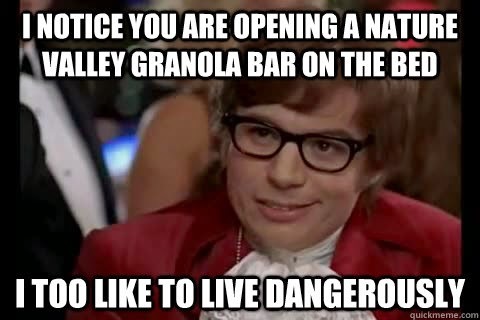 The consistency is very much like a Nature Valley granola bar. 1. In a large mixing bowl, combine oats, coconut, almonds, salt, and oil until evenly coated. 2. Transfer to a baking sheet and toast the mixture in the oven at 300 degrees, for 25-30 minutes, stirring every 10 minutes. 3. While you are toasting the oats, in a sauce pan, combine the brown sugar and honey until smooth. Then add the vanilla and cinnamon. 4. Next, combine the oat mixture with the honey and brown sugar. Stir until well coated. 5. Line a baking sheet with parchment paper and coat with a non-stick spray. Put the mixed granola onto the baking sheet, making a flat and even layer. Make sure to press the granola very tight so that it won't easily crumble. I found that using the bottom of a smaller baking sheet helped in pressing the layer tight. 6. Bake at 300 degrees for 35-40 minutes. 7. After baking, let cool for 10 minutes and then cut the bars (I used a pizza cutter). Don't wait too long to cut the bars or they will harden after about 20 minutes. Yum! These seriously sound so yummy and pretty easy! Might have to give these a try! I am the pickiest granola bar eater ever-- I always find one I think I like, then buy an entire box and decide I don't like it anymore and it all goes to waste! These look like they would be so good! And I love that you can alter the ingredients a bit to make them more or less sweet. Also, I still owe you an email. Sorry packing=my life. Everything you make always looks so delicious and I love the packaging here! One of my old roommates used to make these and it always made the apt smell so good!! Love how you packaged it! love the austin powers meme. i am currently eating one of those bars for breakfast, and damn yours looks so much better! yummo. Totally going to make these! Lils and I eat oatmeal every morning and always need on the go snacks. Plus my husband goes through Kind bars like crazy and no they aren't cheap. Plus we like to eat healthy and these are perfect! Thanks for sharing! This looks delicious. I need to try making some for our house! Those look so so so good! How long did it take you to make these? Looks yummy. Would be perfect for you two active lovebirds. Bahahahaha oh no eating granola bars in bed that so would not fly! This recipe looks so good! I wonder if you could add some protein powder to kick up the staying power of them? These look so good! 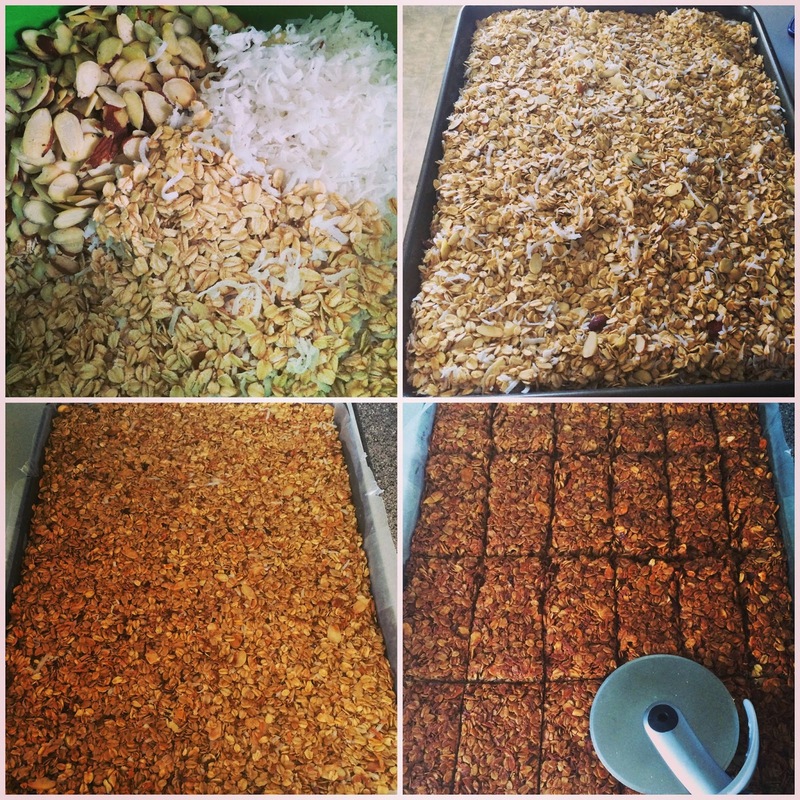 I have always wanted to try to make my own granola bars. I feel like they would just taste better home made! You make it look so easy...hmm. Yum! 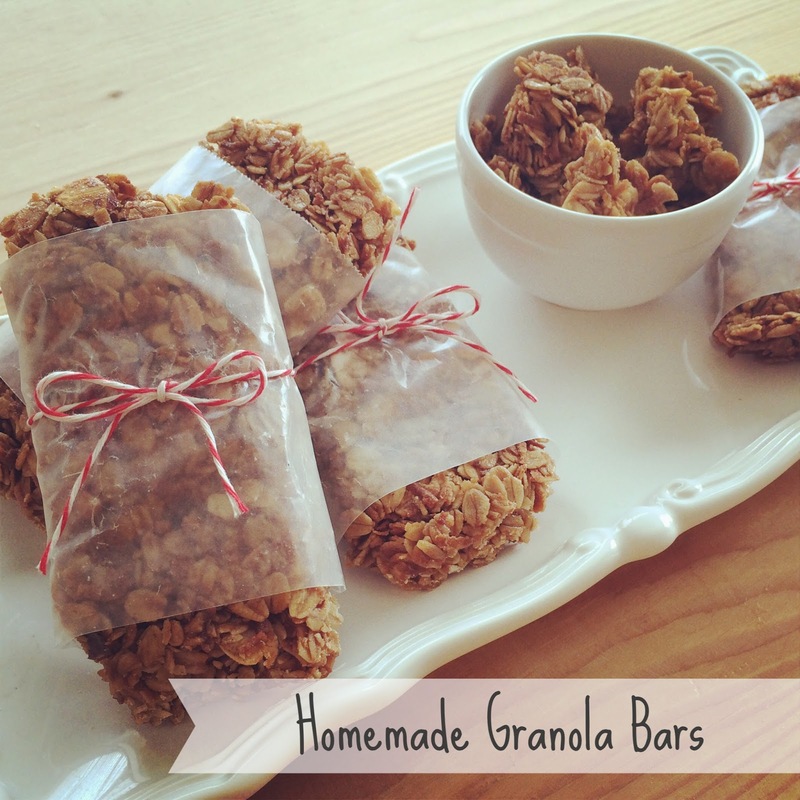 these look so good -- and I love granola bars, so I may have to give this one a try! Yum! Lisa, these look perfect! Saving this for sure! yummy! I'll be making these really soon! Those look AMAZING! I really need to try my hand at making some. Ok. Can you please come to our house? Between the taco cookies, these granola bars and all your cute crafts, I'm kind of obsessed. lol. In a non-creepy way. My husband goes through 3 bars a day easy! And they are so expensive! I've been wanting to try making my own. Oh wowww these look so good! Thanks for sharing!! Those look delicious. I love coconut. My husband doesn't, so they could be alllll mine! Yum these look delicious! I love granola and this bar or crumbling it over yogurt sounds so tasty!! These granola bars look incredible! I've definitely been wanting to try some homemade ones! :) These look delicious girlfriend! Oh my goodness, I will be making these ASAP. They look so good! And your weekend trip looked like a blast!! These look amazing! I've been on a quest to find the ebst granola recipes and have found a few I like, I'll just have to add this to my list! Can't wait to try these! You are amazing girl! Thanks for sharing!